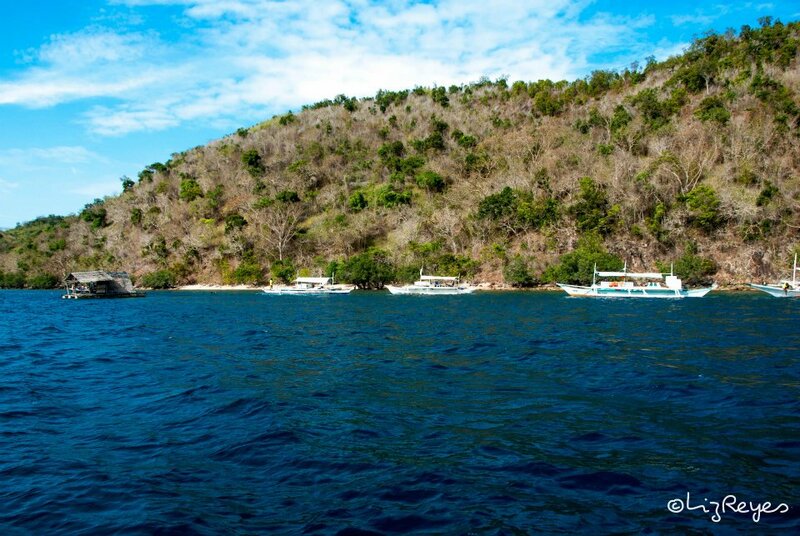 Being a popular diving location, the island of Coron has been a favorite among divers and anyone who loves marine life. 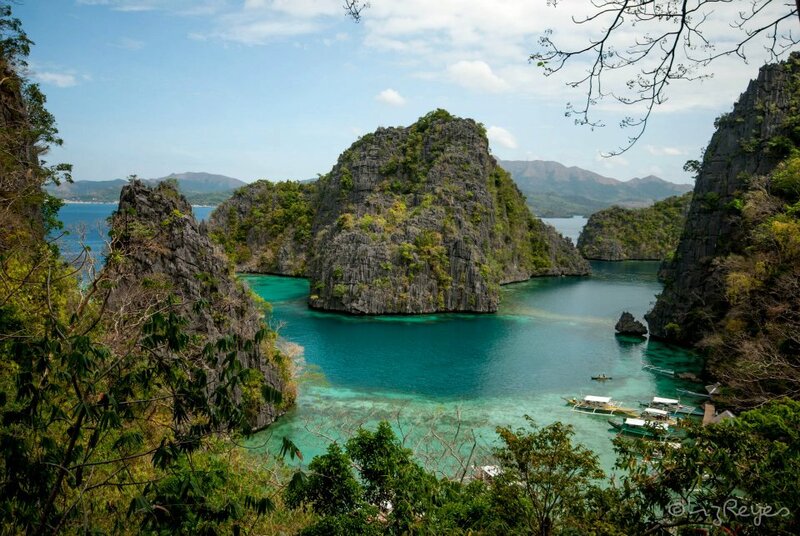 As a matter of fact, Forbes Travel Magazine regarded Coron among the Top 10 best scuba diving sites in the world on the year 2007 because of its rich marine life and WWII Japanese Warships wreck that sunk in Coron Bay during the 1940’s. 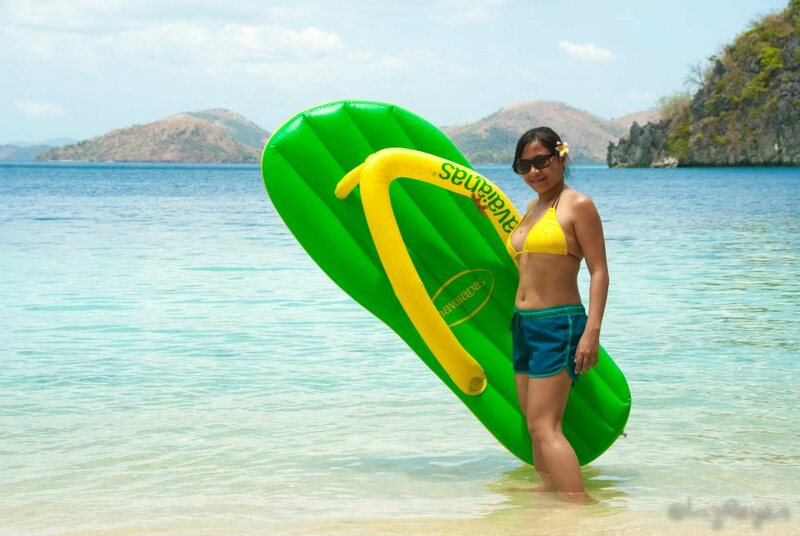 Below is a 4 days 3 nights travel itinerary to Coron, the Philippine’s last paradise. By air: Philippine Airlines, Cebu Pacific, Air Philippines and Zest Air have daily flights to Busuanga. Don’t be confused though, Busuanga is the same as Coron so don’t go around looking for a flight to Coron because it’s like looking for a needle in a haystack. Busuanga and Coron share the same airport- Francisco B. Reyes Airport. 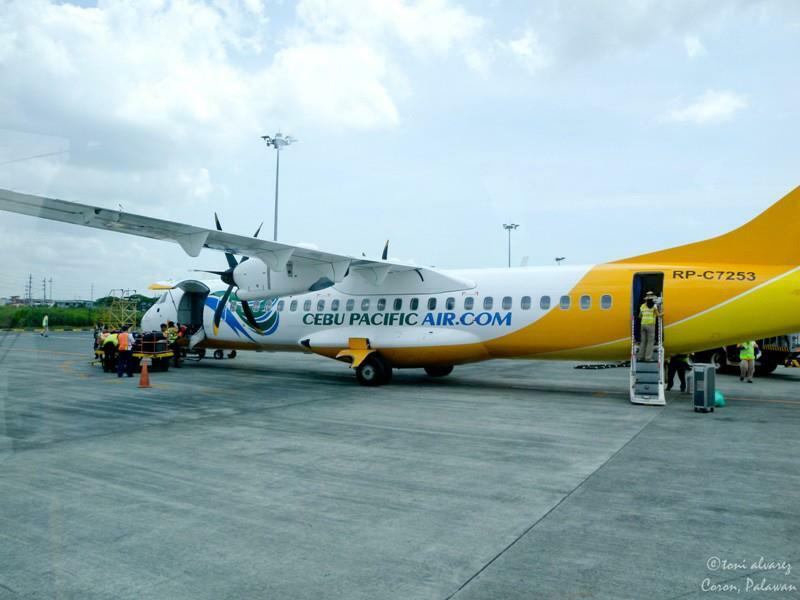 By the way, Cebu Pacific uses propeller planes to Busuanga, not sure of the other airlines. 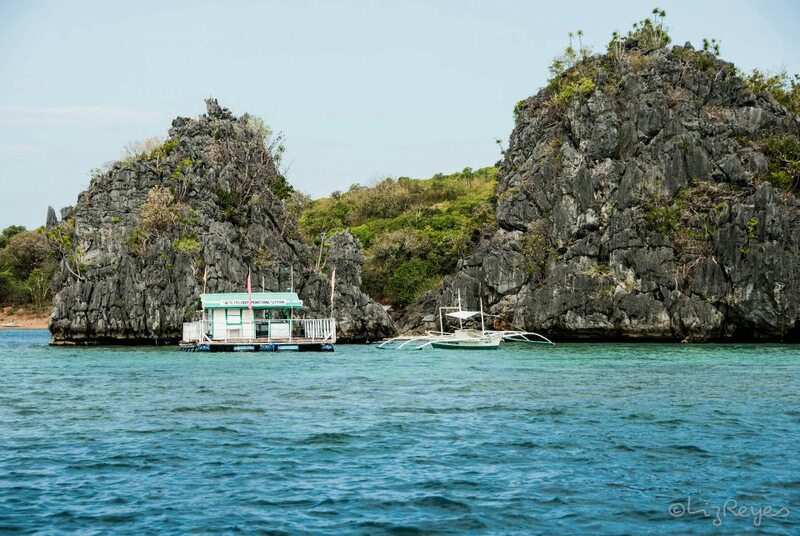 Accommodation: There are lots of affordable hotels and pension houses in Coron. You have the option to choose whether you opt for a place far from the city if you want a more naturey feel or book for a place in the town proper if you want to eat out and drink at night. 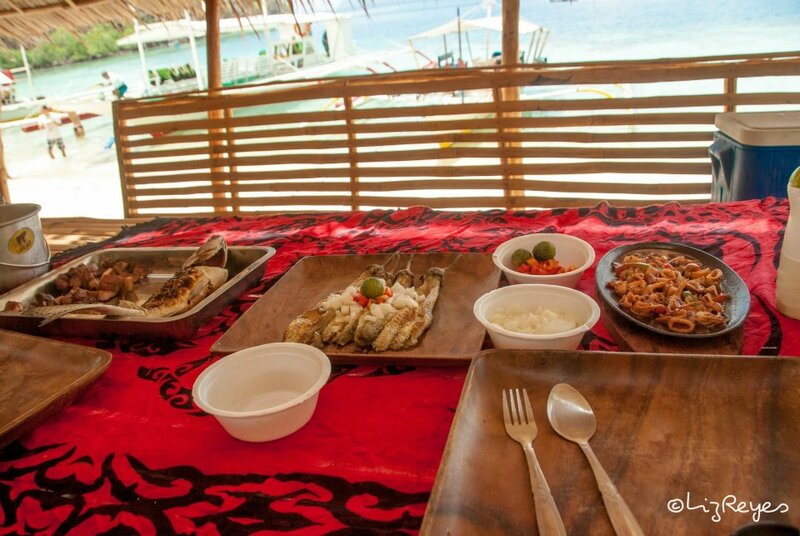 Meal: if you will be staying in the town proper of Coron, then finding a restaurant won’t be that hard. Surprisingly, everywhere is within walking distance only. Food is not that cheap in Coron so expect that pricing of food will be the same with Manila’s. 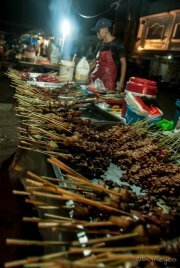 However, if you are the cowboy type and eating street food sounds exciting to you, then you will surely enjoy the strip of hawker food stalls in the Harbour Center that are open until the wee hour of the evening. Try the mango shake (Php10) and cheese waffle (Php5), my favorite merienda. every evening for affordable meals. They also serve Goto and Mami. 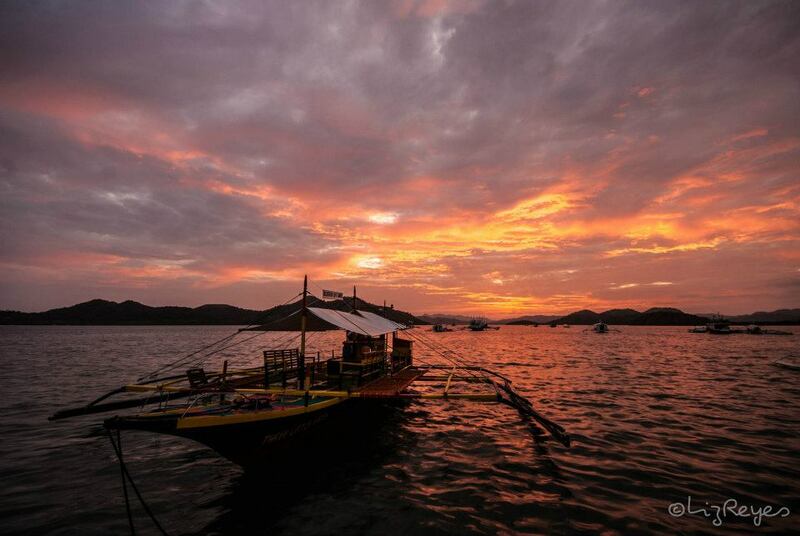 Other restaurants to try are Sea Dive Resort restaurant, La Sirenetta, Bistro Coron and Manneken Pis Resto/Bar. Tour: There are lots of touring companies in Coron that offer trip to various tourist attractions and neighboring islands of Coron. The best way to choose the perfect guide is to ask travelers who have been to Coron already and have tried and tested the tour guides that you are eyeing for. You have the option to go for a group tour which is obviously much cheaper or a private tour which is more expensive but you have the freedom to decide how long you plan to stay in a place that interests you. 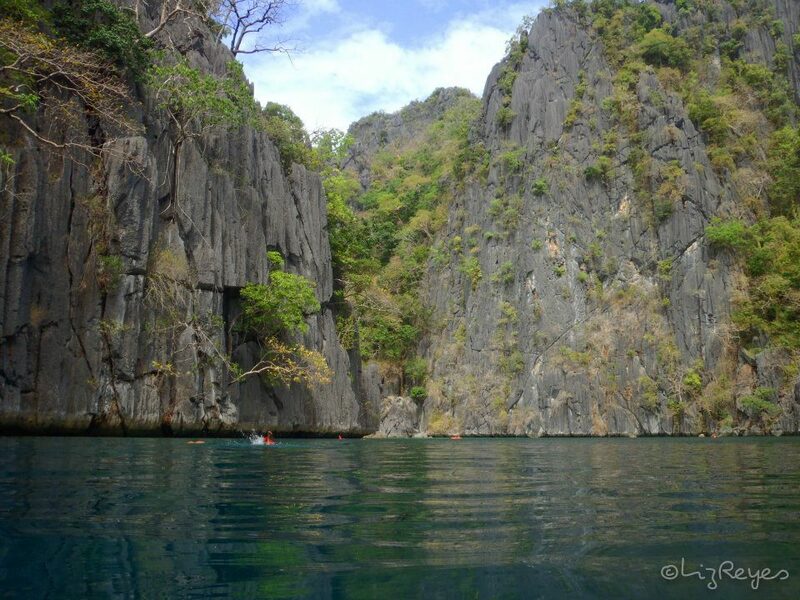 Check HERE for a complete list of Accommodations and Tour Guides/Operators in Coron. Package rate for a private tour: Php 6,500 per pax. Inclusive of the following. You need to have: Php 25,000 for 2 persons is a very safe budget. This is also considering you were able to score an airline promo fare to Coron. If you plan to join a group tour, then you’ll be able to save more. You can catch the noon flight to Coron to make sure that your room is ready for check in upon your arrival. This is granting that your flight won’t get delayed. Coron town tour usually starts between 4:00-4:30PM when the sun is not already at its hottest. In this case, make sure you get to rest first to prep yourself for a long trek to Mt. Tapyas. 1st stop: Mt. Tapyas. In order to reach Mt. 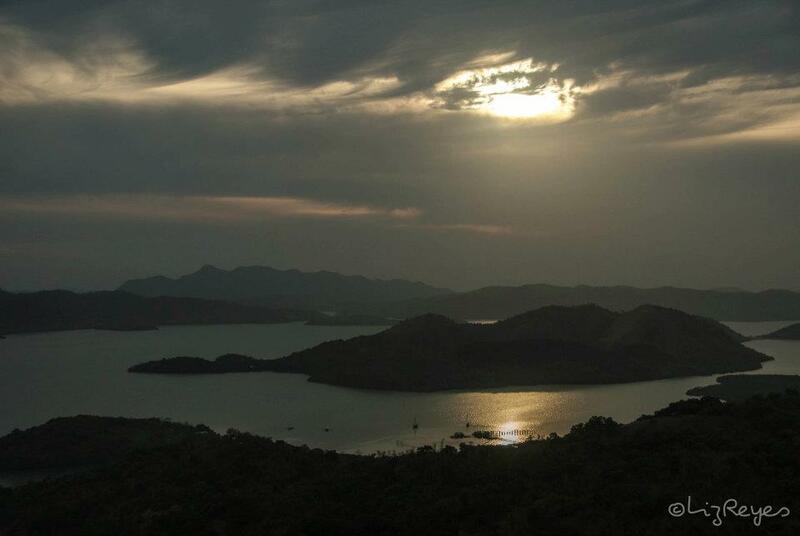 Tapyas summit, you need to brave the 725 steps to have a good view of Coron Town. Mt. 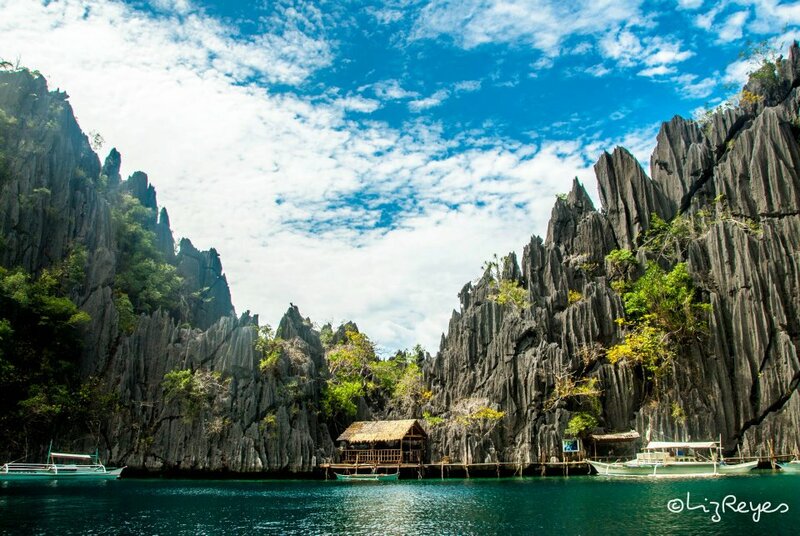 Tapyas is one of the most popular destinations and the second highest place in Coron. Jump off point is beside a community basketball court which can be reached via tricycle or by foot if you want some warm up before the long trek. The hike to the top usually takes 30 minutes depending on your pace. Bottled water are being sold at the jump off point and at the summit but bringing your own water is also nice idea. 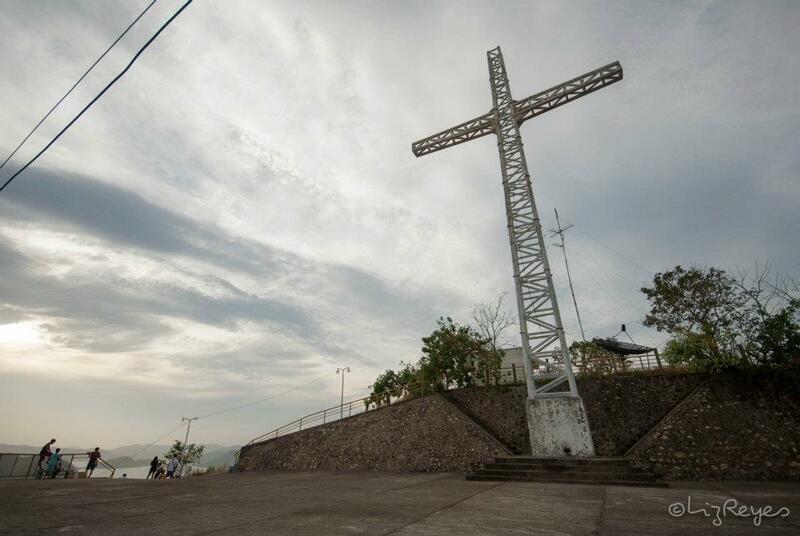 At the peak, you will be greeted by a giant steel cross at the spacious view deck that seems to be the overlooking guard of the whole town of Coron. Watching the sun set is perfect at Mt. Tapyas but you might want to reconsider it if you plan in heading to Maquinit Hot Spring afterwards. Maquinit Hot Spring closes at 8:00PM so it’s better to be there earlier to fully enjoy the place. 2nd stop: Maquinit Hot Spring. A dip at the Maquinit Hot Spring is perfect after a tiresome hike to soothe your legs. If you will be missing the sunset at Mt. 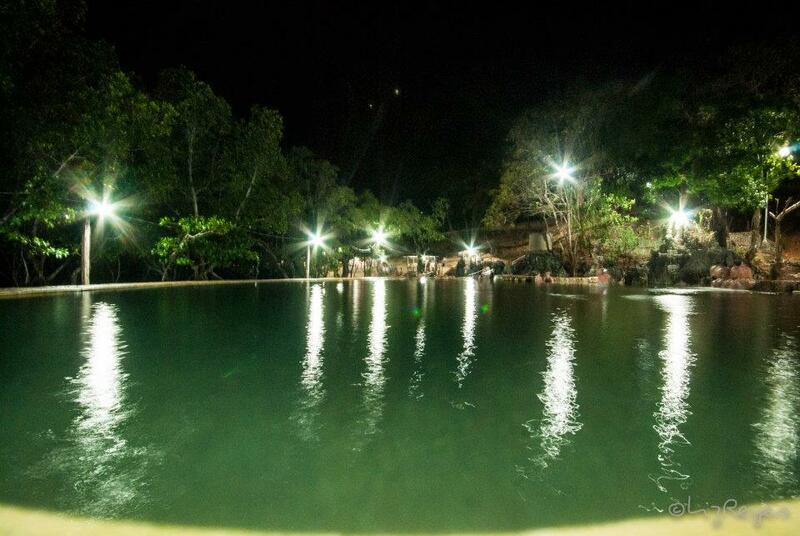 Tapyas, then watching it at the infinity saltwater hot spring is a good alternative. The therapeutic, natural hot water at Maquinit can be quite daunting at first because of its temperature that is close to almost 40 degrees celsius, but after few minutes in the water, you’ll definitely get used to it and wouldn’t want to leave anymore. Although swimming or diving under the water, in my opinion, is really something that’s hard to do because of the water’s temperature. There are few tables and chairs at Maquinit Hot Spring but since the place is always packed with people, prepare to share a space with other tourists. 3rd stop: Dinner time. 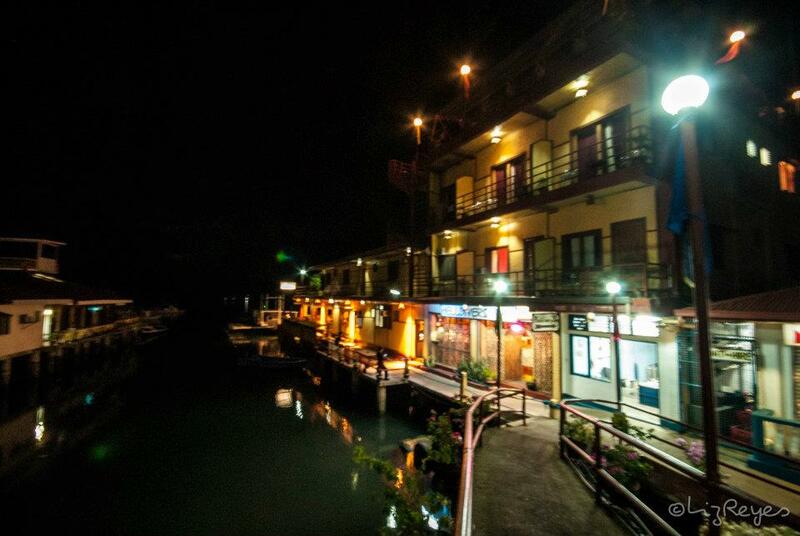 If you are billeted near Coron town proper, then finding a place to dine in the evening won’t be a problem. The town of Coron is swarming with various restaurants because of the heavy influx of tourists all year round. 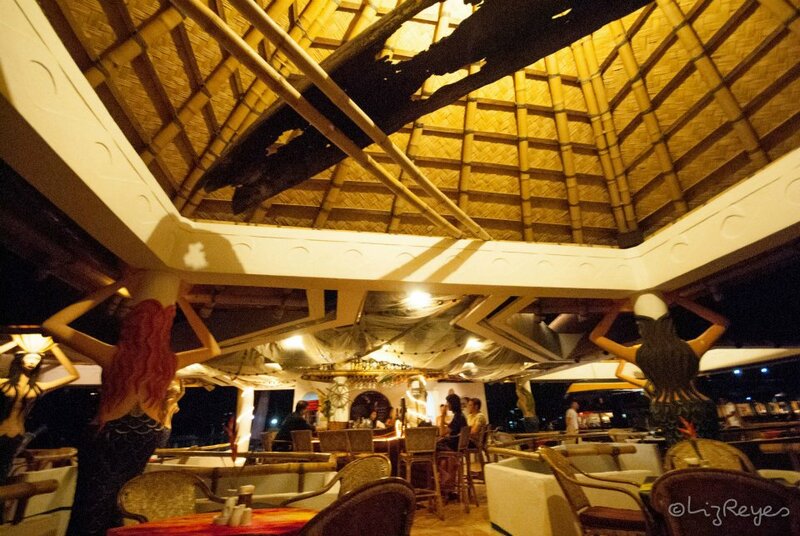 If you want a view of the sea at night (although you can’t really see any good view at all in the evening because it’s dark out there) or a feel of the ocean breeze, then dining at La Sirenetta or Sea Dive Resort is a perfect idea. La Sirenetta’s feel is more of laid back because of its ambiance while Sea Dive Restaurant is more hip because beside it is the Helldiver’s Bar where you can play billiards and listen to good music while downing some beers with friends. A word of caution though, don’t get yourself too drunk because you wouldn’t want to miss the island hopping the next day. Island tour usually starts as early as 8:00 AM. Thus, it is expected for you to take your breakfast in your hotel at 7:00AM then prepare your things before your tour guide pick you up. 1st stop: Siete Pecados. 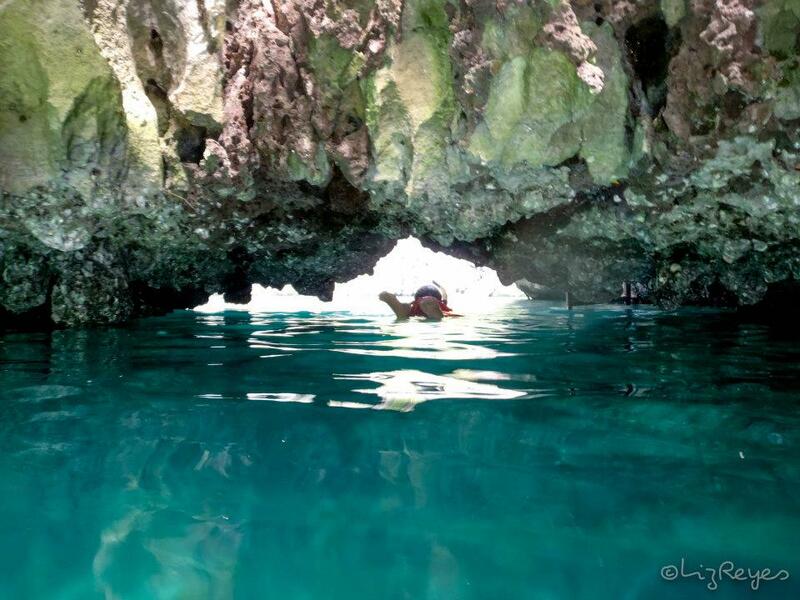 One of the best sites for snorkeling is the Siete Pecados. Siete Pecados or Seven Sins is a cluster of seven islets with rich marine life, abundant corals and fish of various species. Most tourists love fish feeding but actually, fish feeding is bad for the fish and divers. Marine fish feeding disrupts the natural ecosystem. So yes, if your tour guide is knowledgeable enough and cares for the marine life, he won’t even suggest you to feed the fish. So next time, before handing out food to the fish, think again. 2nd stop: Kayangan Lake. 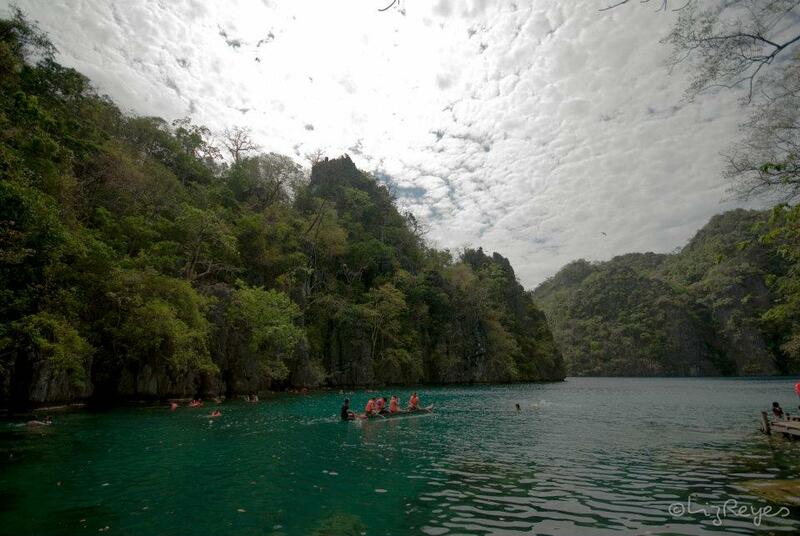 Kayangan Lake is said to be the cleanest lake in the Philippines so this site is definitely worth the visit. Before reaching the lake you need to trek a little (10 minutes) to get a great view of the Kayangan Bay. The Kayangan Bay is the most photographed view in Coron so it’s actually hard to miss this spot, you’ll recognize it the instant you see it. After reaching the top, you have to go down again to reach the turquoise lake. There’s a wooden platform at the Kayangan Lake which was made by the Tagbanuas, who are also the care takers of some of the islands in Coron. The wooden platform is the perfect place to rest or maybe get a tan, although this many not be an option because of the very inviting water. There’s a small cave at Kayangan Lake which is yet to be named but the small cave has spiky limestone rocks and a hole inside leading to the top where birds nests, the main ingredient for Bird’s nest soup, can be found. 3rd stop: Lunch (Atwayan Beach, Kalachuchi Beach, Smith Beach, Banol Beach, 91 Beach) These are some of the places where you can have your lunch. In our case, we headed straight to Atwayan Beach. The place is very nice and not crowded. 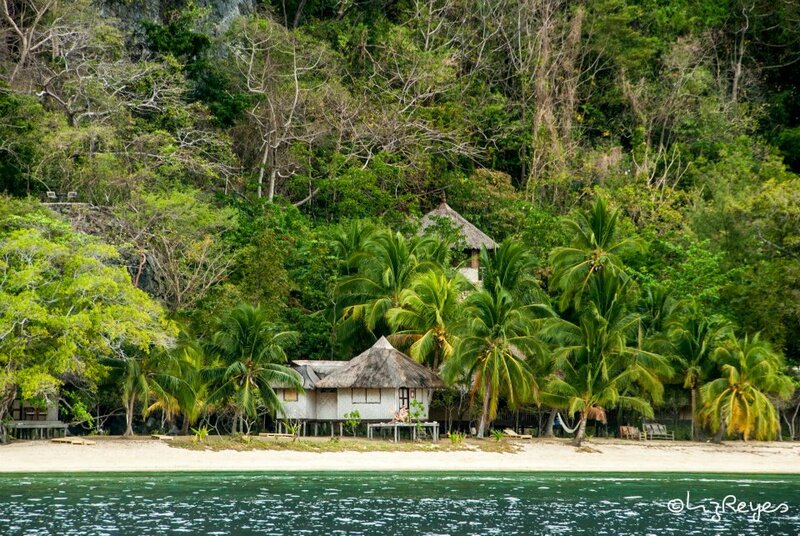 This secluded island with few cottages and kalachuchi trees is just perfect for a tropical ambiance together with the freshly cooked buffet food that was cooked (in the boat during the tour) and served by our guide. We had inihaw na liempo, inihaw na isda (not sure if it’s Bangus), sizzling pusit and inihaw na talong. I’m not really fond of eating when my clothes are wet but the food are simply irresistible, plus I’m too hungry after all the swimming. It is best to have your lunch earlier before the place gets a little crowded at noon time, you’ll also have plenty of time to swim and enjoy the clear water. Just a word of caution though, be wary of the fishes at Atwayan Beach, I don’t want to generalize all the fishes there but a fish bit me while I was standing near our boat. I swam in the shallow part of the water and saw about two to three fishes (looks like white with a shade of yellow to me. Looks like a Smith’s Damselfish) swimming. After a while I refrained from snorkeling and just stood there in the water. The water is thigh deep (I’m merely 5 feet) which is actually very shallow, all of a sudden I was startled when something bit me. I can’t explain how the fish bit me but looks like I was bitten twice in just a matter of millisecond. True enough there are two circular swollen marks in my legs, same spot. Looks like inner circle and outer circle to me. Hehehe. I’m not sure what kind of fish bit me, I was not even sure if it was the same fish I saw when I was snorkeling. Kuya Charlie, our tour guide, said that it was a territorial fish, but there are many kinds of territorial fishes so I’m not sure what it is to be specific so that fish is still wanted on my list. Hahaha. Guess what, I even emailed and tweeted SEAFDEC (Southeast Asian Fisheries Development Center) to ask for the types of territorial fishes that thrives in tropical countries and shallow waters. They were gracious enough to reply and gave me names and websites, but still, I can’t identify what fish it was because I never saw the one that really bit me. I have a strong hunch that it is a Damselfish. 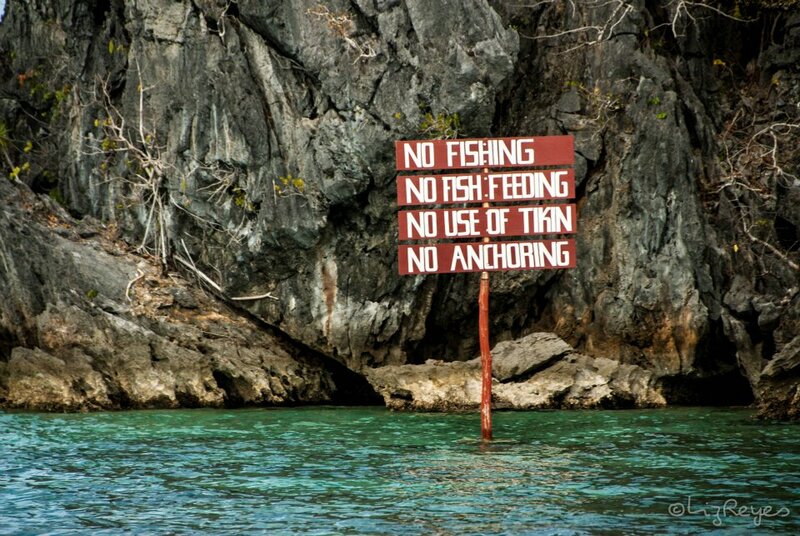 Anyway, this is not to scare away swimmers at Atwayan Beach, maybe the fish just feel like biting me. Let’s say they are too selective. Hahaha. 4th stop: Skeleton Wreck. 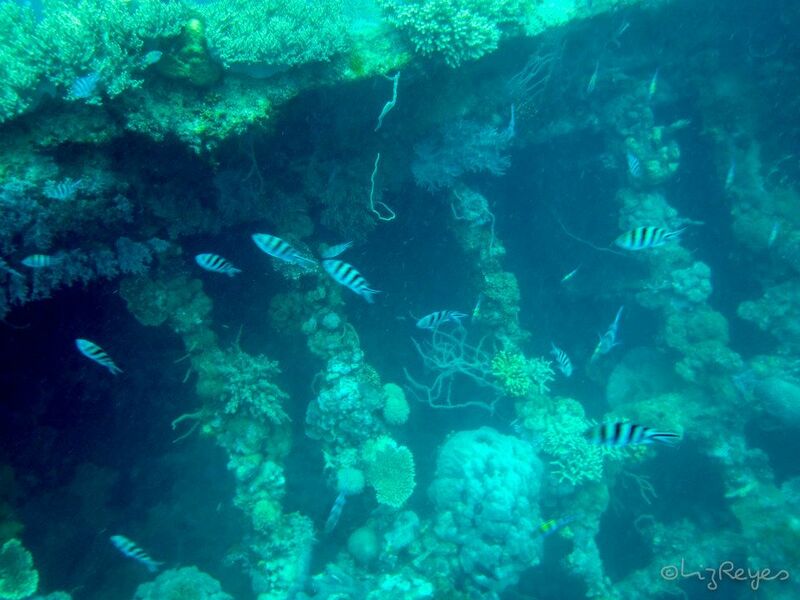 All boats are just anchored in the middle of the sea so you have to swim few meters to check out the Skeleton Wreck. The wreck is actually 27 ft deep but you can see some parts of the ship’s skeleton since the tip of the ship’s wreck is only 10 feet deep. The wreck is really creepy but still very nice to capture with your under water camera. Funny that the song “My Heart Will Go On” keeps playing in my head while I was snorkeling near the wreck. 5th Stop: Twin Lagoon. As the name implies, Twin Lagoon consists of two lagoons (outer and inner). The outer lagoon is where all the boats are docked and a wooden platform, like that of Kayangan Lake’s, and a cottage was built by the Tagbanuas. On the other hand, the inner lagoon will test your swimming skills as you need to swim into a small underwater cave to cross from one lagoon to another. There’s actually a wooden stair that you can use if you are too scared to swim or if it’s already high tide (the narrow entrance disappears when it’s high tide) but the thrill of entering the little hole is part of the experience so I suggest you go for it. good swimmer. There’s no wooden platform either where you can rest so your flippers will really be tested here. The water inside the lagoon is brackish (combination of salt and fresh water) so if you will look at the water clearly, it looks as if there’s an oil in it. Don’t worry, there’s no oil, it just looks oily because of the combination of sea and fresh water. I dared not go to the end of the inner lagoon because I am not a swimmer and I was told by Kuya Charlie that there are also territorial fishes there. Hehehe. TRIVIA: Before entering the passage way to the inner lagoon, you will notice a big rock. 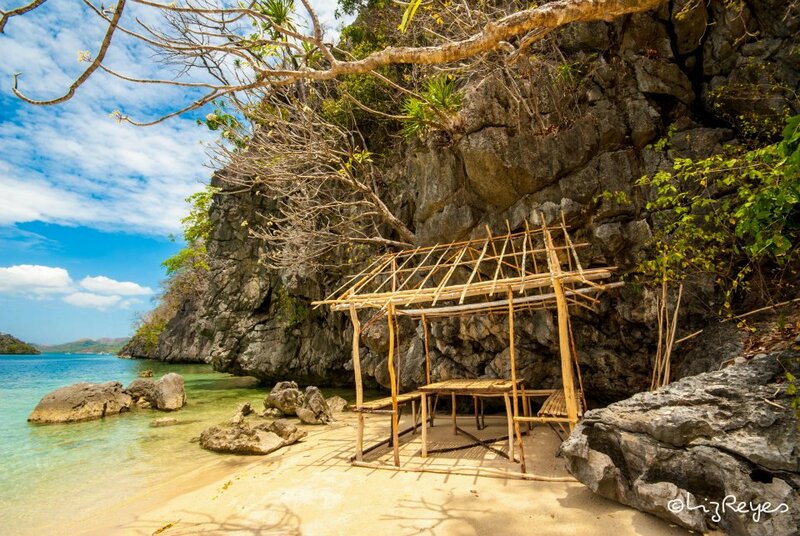 This is where Marian Rivera, during her “Dyesebel” TV series, usually shoots. Check out the photo below, that’s the famous rock. 6th stop: Twin Peaks. After the Twin Lagoon, head again to the other twin, which is the Twin Peaks. In my opinion, Twin Peaks has a richer marine life than Siete Pecados, the corals and fishes are more colorful at Twin Peaks and there are less tourists too. We also saw a group of scuba divers at Twin Peaks which justifies the vast underwater life in the area. What overjoyed me was seeing the Neon Tetra Fishes. The fishes were clustered together forming a line. They look like an army of fish, yes, that’s an army not a school, because they look more like a troop of army because they barely move. They are so behaved and cute. 7th stop: Sunset watching, Rest and Dinner. Upon reaching your hotel, wash up quickly then head straight to the Harbour Center to buy some hawker food for late merienda. Try their cheese waffle, mango shake, squid and fish balls among others, afterwards, head to Lualhati Park and admire the romantic sunset. For dinner, you may try Bistro Coron’s famous pizza then head to Cafe Coronzy for some dessert and coffee. 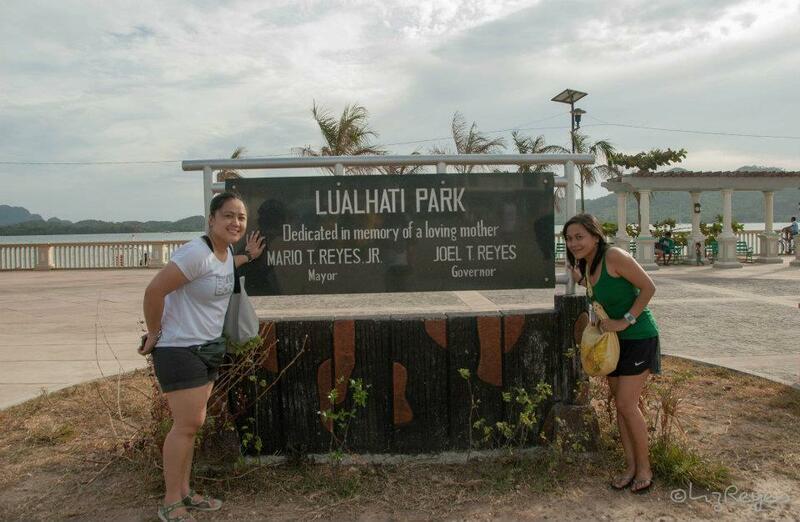 Third days are usually dedicated for beach hopping to the various white sand beaches of Coron. Malcapuya, Banana Island and Bulog Dos are some of the most famous and favorite places among tourists, especially for those who love to sun bathe and have a good swim. However, if you want to experience seeing a sunken ship up close, then going for a different itinerary which is the Lusong Gunboat shipwreck, Pass Island and Coral Garden can be one of your options. Since lounging in three different beaches for one whole day doesn’t sound very exciting to us, we go for the water less swam. 1st stop: Lusong Gunboat Shipwreck. 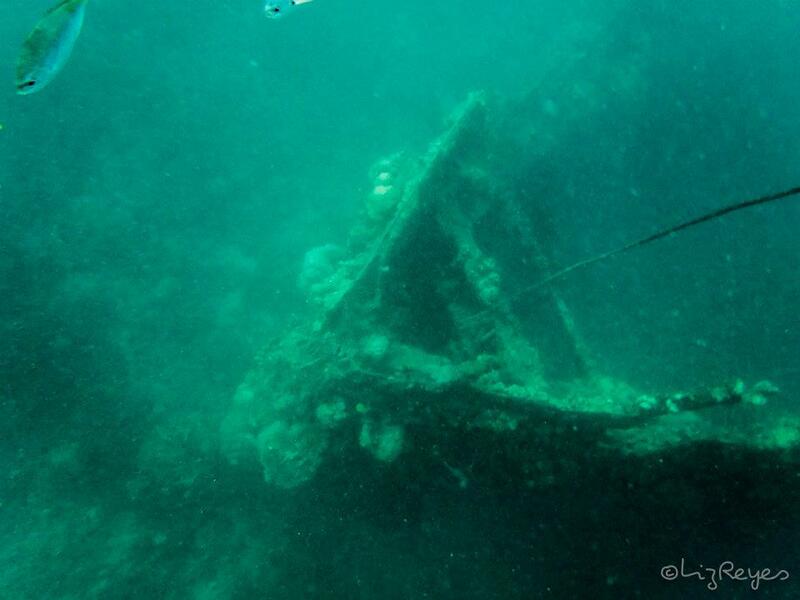 Seeing a sunken ship up close that you can actually step on it is definitely a one of a kind experience. Never in my life have I imagined myself getting near a six decade old sunken ship. The thought of it actually creeps me out, but since the area where the ship sunk is not too deep and does not look eerie at all, I actually enjoyed the whole experience. In fact, the area where the gun boat sunk is very shallow that even while you are in your boat, you can still see the sunken ship below and take a picture of it. 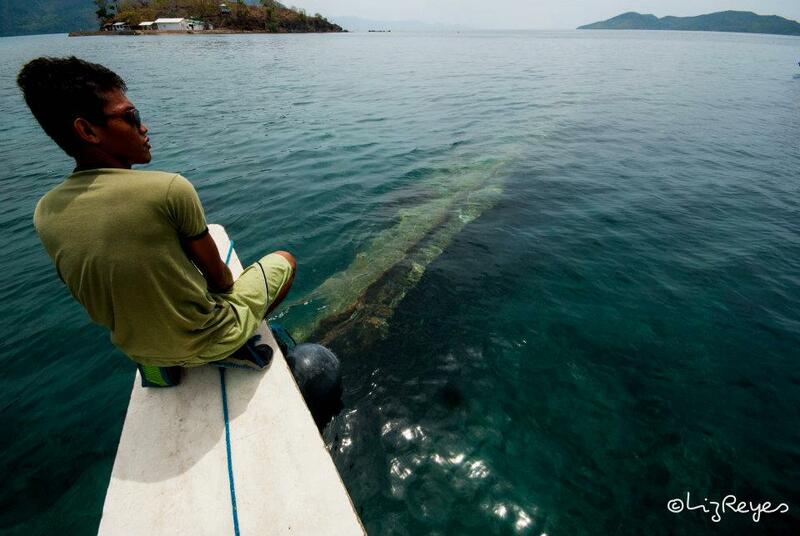 Lusong Gunboat wreck is just one of the 12 shipwrecks that sunk in the Coron Bay during the World War II. It was said that from afar, the Americans thought that the ship was an island but when it moved, they started bombing the said ship causing it to sink. 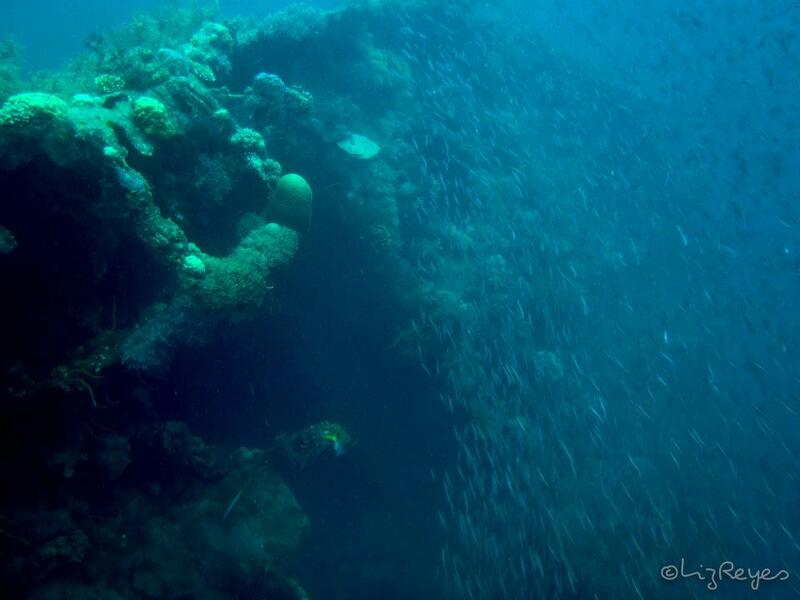 The Lusong Gunboat Shipwreck has rich marine life so it is also one of the best places to scuba dive. If you want to step on the ship, make sure you are wearing flippers or sandals because the metal edges tend to be slippery and sharp. 2nd stop: Pass Island. 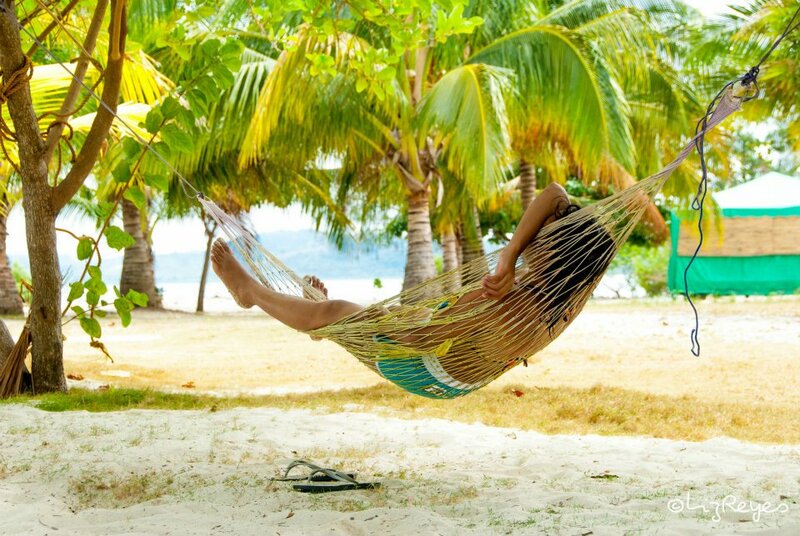 The hammocks, coconut trees, native cottages surrounded by nothing but powdery white sand, azure sky and sea make Pass Island truly a perfect place for unwinding and taking a nap while waiting for the sun to cool down a little. There are few people in the island so you’ll feel like you own the small island even for a half day only. This is where we had our lunch, took few minutes nap and swim. 3rd stop: Coral Garden. The name speaks for itself. Coral Garden is truly a garden full of corals of various shapes, colors and sizes. Table corals, assorted hard corals, Acropora, Cabbage coral and Brain coral to name a few. 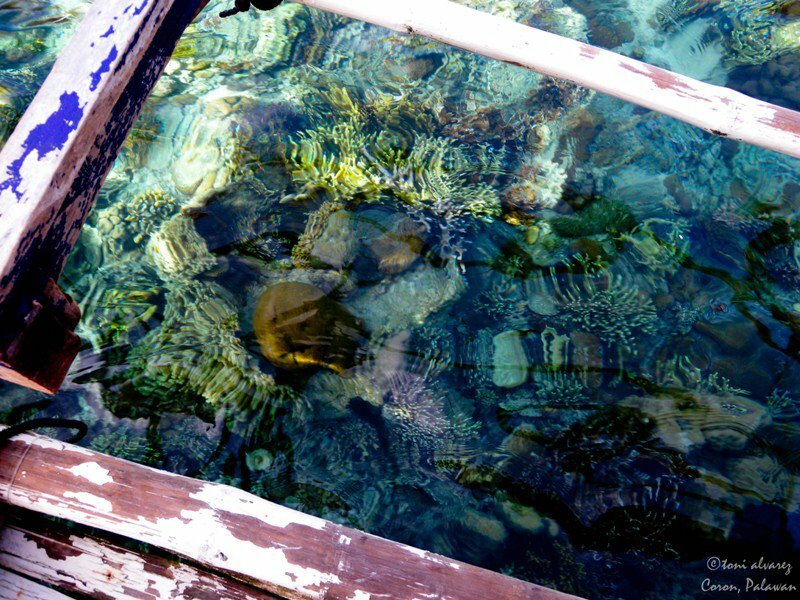 The water is so clear that even though you are in the boat you can already see clearly the corals below. 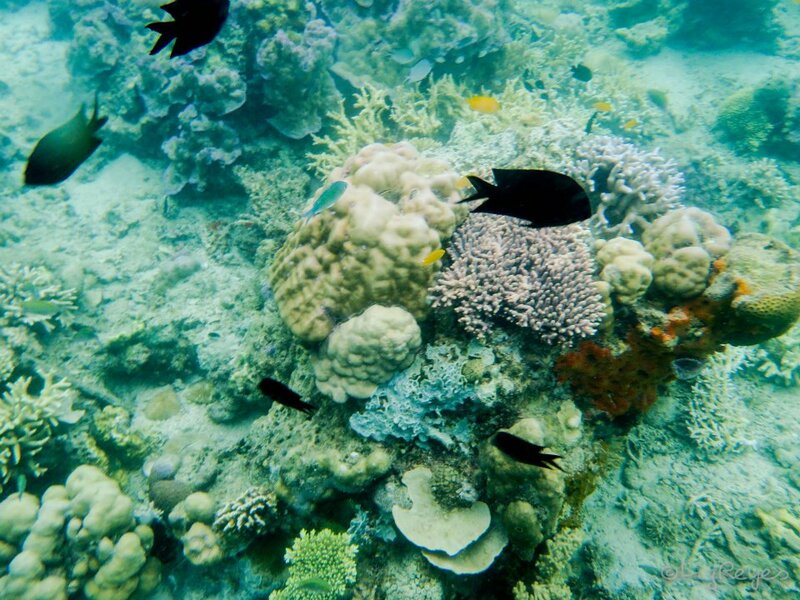 Aside from corals, fish of various species are also abundant here. 4th stop: Souvenir hunting and dinner. 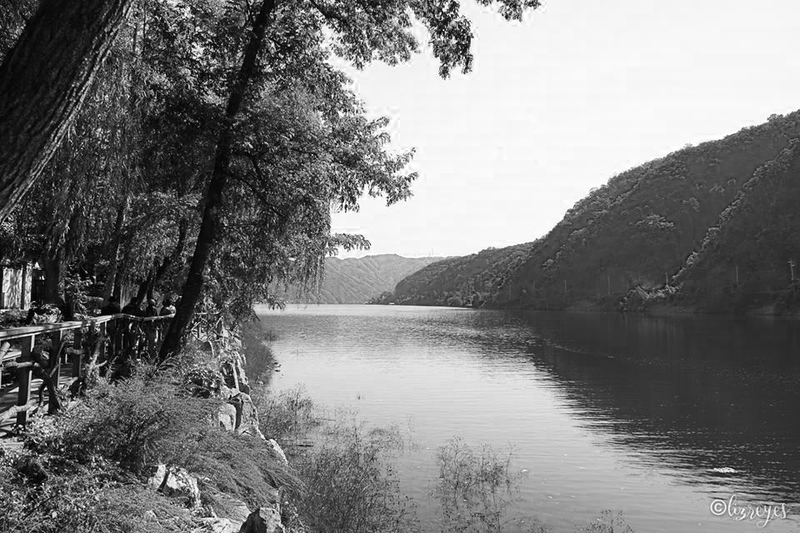 Say your thank you and goodbye to your tour guide and boatman. Tip is not mandatory but we did give them because of a job well done. 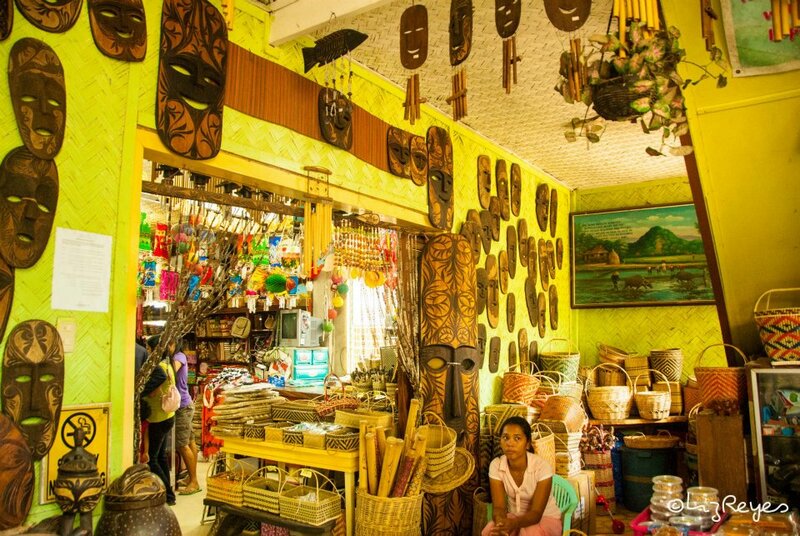 You can spend your last night in Coron by hunting for souvenirs. There are only few souvenir shops in Coron so to save time head straight to Everly Garden Souvenir and Gift Shop for some pearls, key chains, ref magnets, shirts and native products of Coron. For cashew nuts, go to Coron Harvest, make sure to take home Bandi or sweetened cashew. For dinner, try Kawayanan Grill, Manneken Pis or The Old House. You can wake up late on your last day or if you are not yet fully satisfied with your pasalubongs, you can opt to go to the market and buy seafood like dried pusit and danggit. Your fourth day is actually the best time to relax in your hotel room while waiting for your airport service. 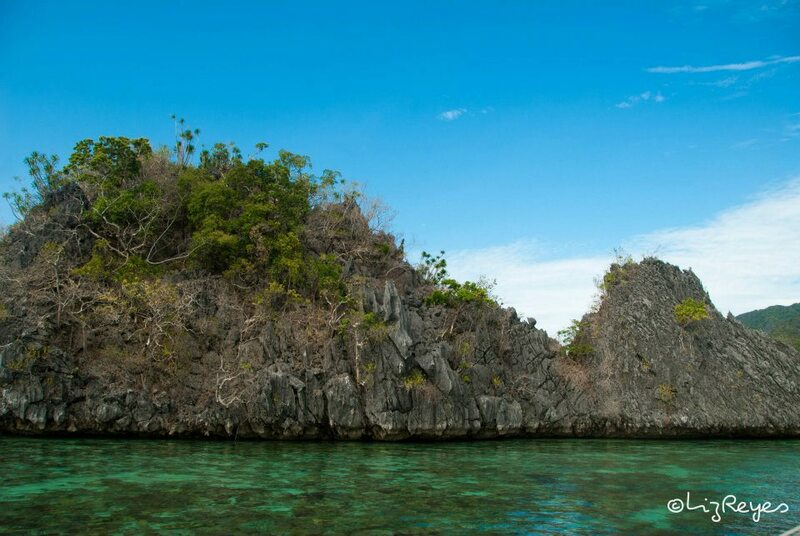 No bones about it, Coron Palawan is truly a paradise for people who love underwater life. Four days are actually not enough to see the beautiful places and islands that Coron has to offer. If you have more time and budget, you can visit Calauit Safari Park where you can see zebras, giraffes and other animals freely roaming around the island’s hills and plains and Culion Island, a former leper colony and where the first cure or treatment for leprosy was discovered. 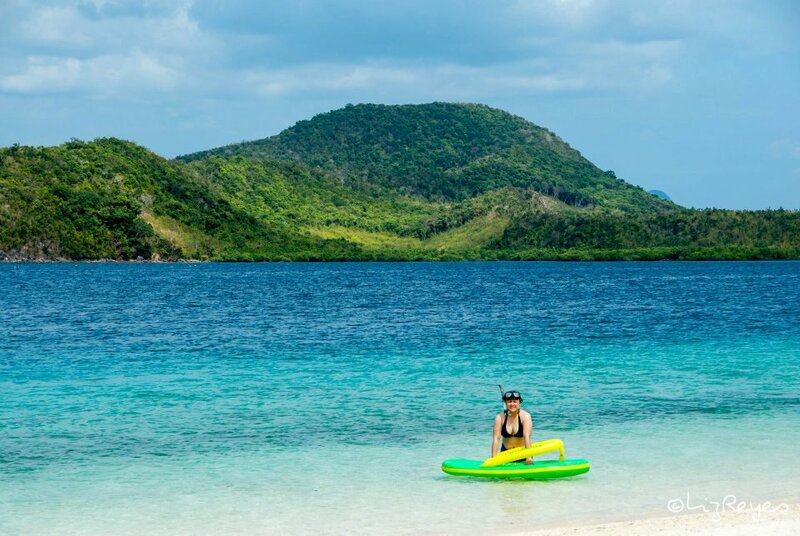 For honeymooners, Sangat Island is the perfect hideaway and definitely one of Coron’s best kept secrets. Price may be a little steep but it is absolutely worth it. WOULD GO BACK TO CORON SOON!! !